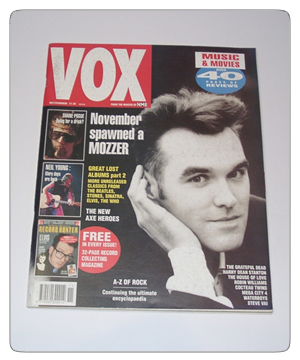 The second issue of Vox Magazine, dated November 1990. Includes articles on Morrissey, The Pogues, Neil Young, Steve Vai and The Grateful Dead. Album reviews include Judas Priest, The Pet Shop Boys, Paul Simon, Van Morrisson, ZZ Top, Garth Brooks and many more. The magazine is in good condition, with no major blemishes (see photo). Vox Magazine - First Issue!